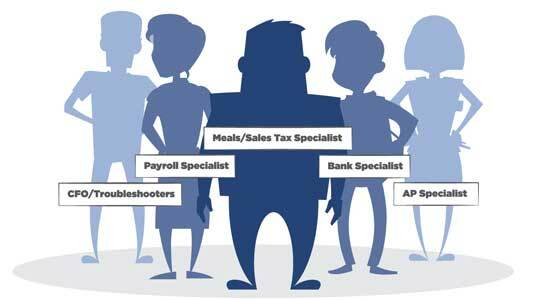 Payroll is one of the most commonly outsourced functions in a small business. Payroll service is a high volume, transaction intensive function, with deadlines, interest, and penalties. Many small business owners would rather outsource their payroll than deal with the related headaches. Our Small Business Payroll Services are here to support you, the small business owner. 1099 Services – we will take care of creating and issuing the 1099’s on your behalf. We’ll send you all forms that need to be signed and sent to the IRS. We will mail copies of the 1099’s to all recipients, and we will keep a filing copy for your records. What makes Remote Quality Bookkeeping’s Small Business Payroll Services Different? We are 100% United States based. Anytime you call you’re speaking directly to a person located in Bridgewater, Massachusetts so your requests are taken care of immediately! If you have questions or concerns we will take the time to help you understand and help you correct any problems. We become a member of your team. All payroll expenditures are automatically tied into your books. Payroll liability payments are booked into your register so you are able to forecast your cash flow. We can modify payroll reports to your specifications, including job costing. We charge one flat fee! We don’t increase payroll fees multiple times a year, that way you always know what you’ll be charged for payroll, no hidden surprises! If you are tired of the payroll hassle and the fear of incurring unnecessary interest or penalties, then contact us today to learn how our small business payroll services experts can become part of your team.